This forcefully argued and carefully documented report by the National Advisory Council on Economic Opportunity criticizes the Reagan Economic Recovery Program on the basis that it separates economic theory from social policy, pursuing the former at the expense of the latter, which hurts the poor and could lead to social chaos. This controversial volume also argues that the current policy proposals for the 1980s ignore national standards of responsi-bility and accountability. 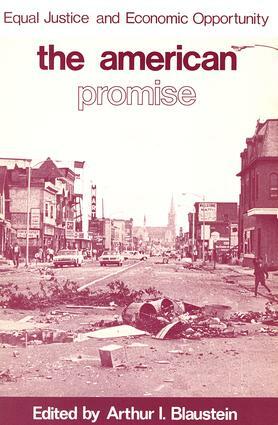 The report focuses on five aspects of American social, economic, and po-litical life: unemployment and inflation; federal antipoverty programs and policies; the changing face of poverty and the myths that affect the poor; the role of voluntary associations and the shared moral values of our society; the particular problems of family, child care, and welfare for women in poverty.